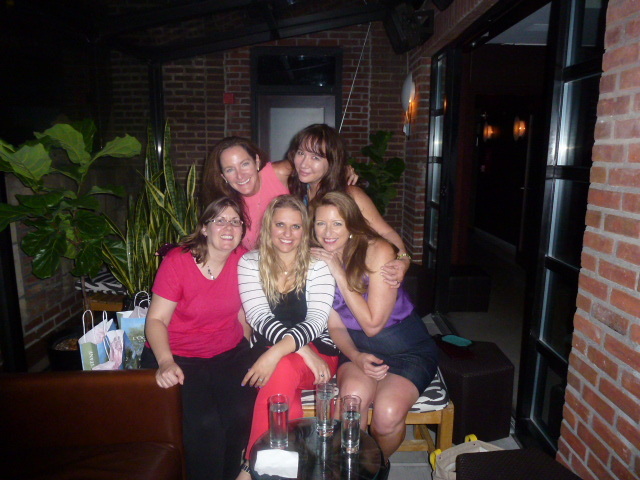 Thrillerfest started out with an epic six hour agent party at the rooftop of the Library Hotel. CJ Lyons, Barbara Poelle, Sophie Littlefield, Jamie Freveletti and me. 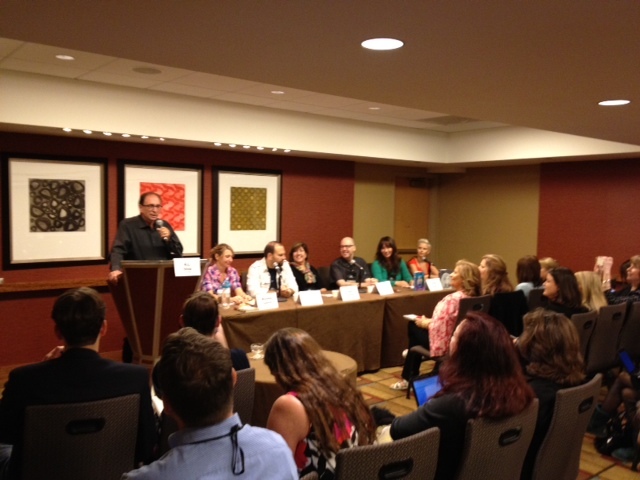 Our YA panel moderated by the very funny R.L. Stine who kept the audience and the panelists laughing. R.L. Stine all to myself. 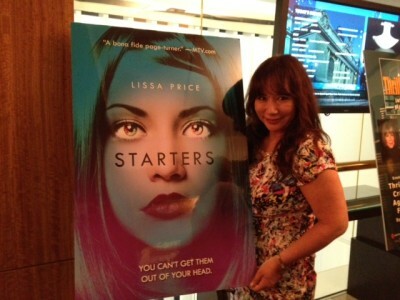 The new paperback cover in a poster. Met some of the best fans at the signing. 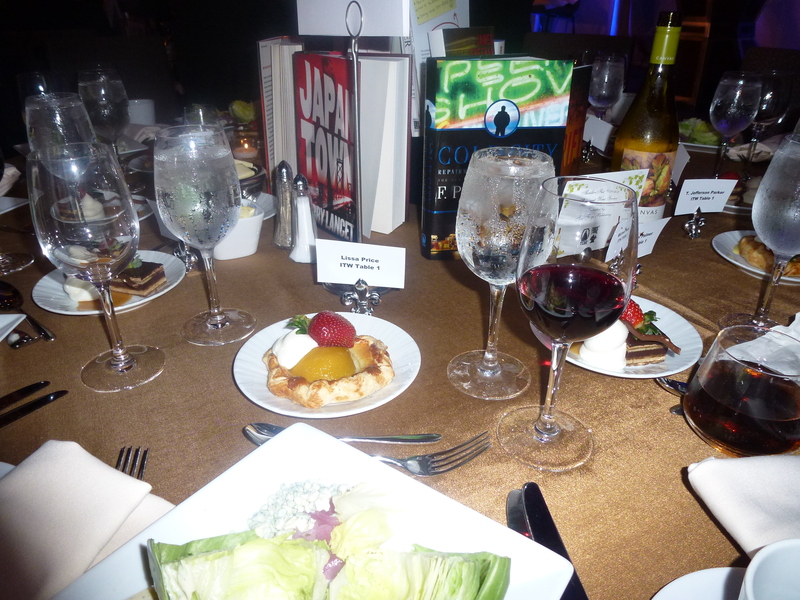 The Thrillerfest banquet. ITW member Michael Palmer you probably know as the author of 16 thrillers, including his latest, POLITICAL SUICIDE. 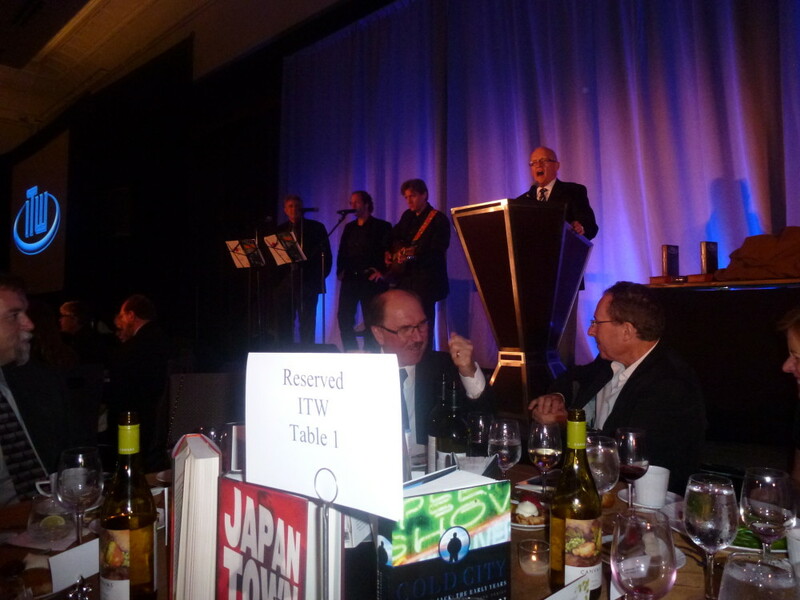 He kindly invited me to sit with him and it turned out to be table 1. 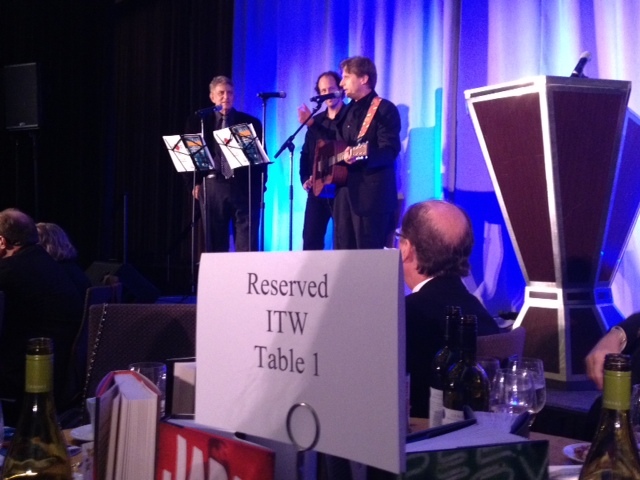 Michael and his son Daniel Palmer performing with Brad Parks, singing a HILARIOUS song they wrote about publishing. It ended with hand puppets (you had to be there). 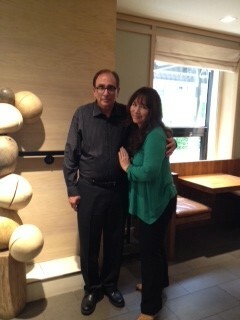 My agent-mate C.J. 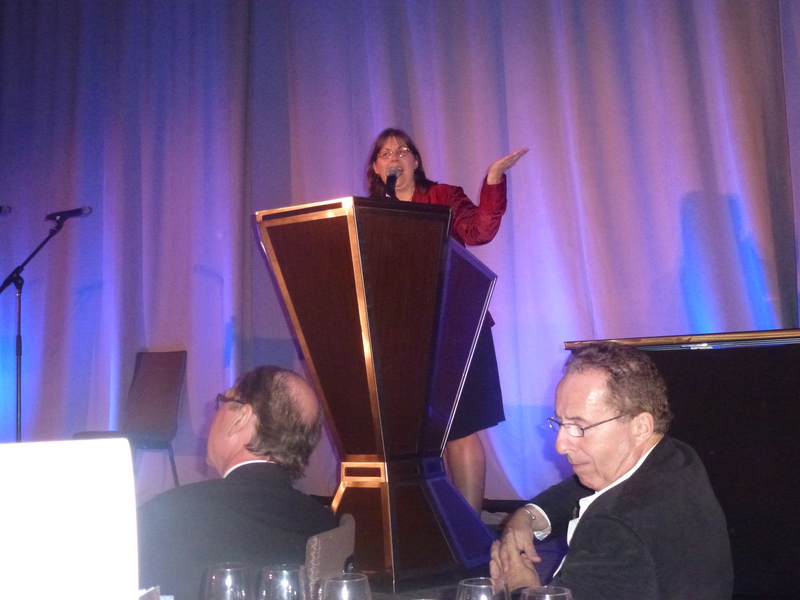 Lyons as she accepts her award for best e-book for BLIND FAITH!! Anne Rice gave a heartfelt acceptance speech for her Thrillermaster Award that made the whole room fall in love with her (if they weren’t already). It was the best banquet ever.